Four Seasons Hotel Buenos Aires is located on the east side of Buenos Aires, the capital of Argentina, in the upscale La Recoleta district. By car or taxi, the hotel is 40 minutes north of Ezeiza Ministro Pistarini International Airport and 15 minutes south of Jorge Newbery Aeroparque. Belle-Époque mansion or swish modern tower - either way, you win the lodgings sweepstakes at classy Four Seasons Hotel Buenos Aires. Like its fascinating hometown, Four Seasons Hotel Buenos Aires has modern flair and a respect for history. 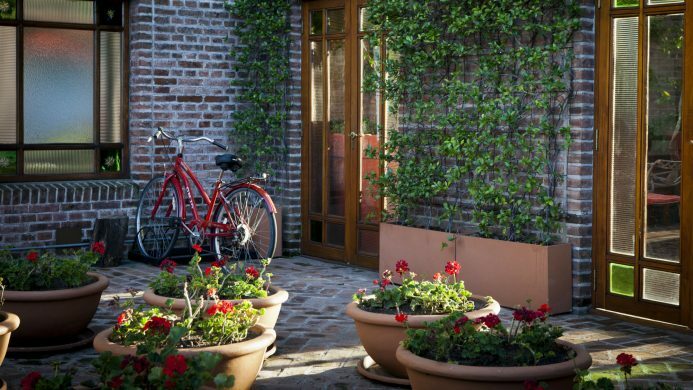 The 165-room-and-suite property offers classically contemporary and French country-style accommodations in its tower, where dark mahogany furniture offsets warm colors and fabrics. But you've chosen a Royale Suite in adjacent La Mansión, a renovated 1916 structure whose ornate façade is straight out of Belle-Époque France. One of seven suites in the mansion, the 1,098 sq. 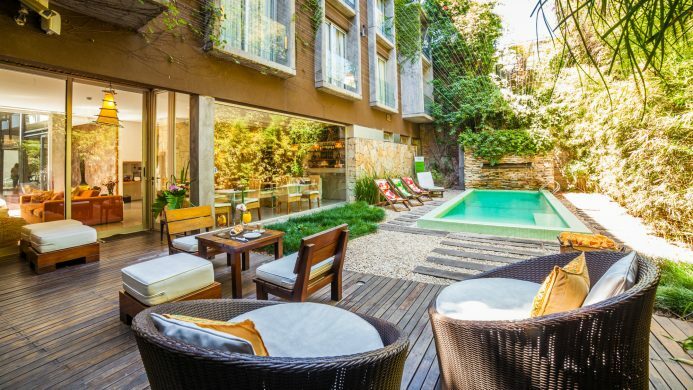 ft. space has a view of Four Seasons Hotel Buenos Aires' gardens and Roman-style pool. You're equally stoked to see the fireplace and silk-upholstered chairs - plus a private bar full of Argentine wines. The same sophistication is evident at lobby-level bistro Mistral, from the black-and-white marble floors to the succulent local cuisine. And speaking of local, try an in-room Porteño Tango spa treatment. Set to music, this exfoliation and hot-stone massage will bring you down from that BA shopping trip. 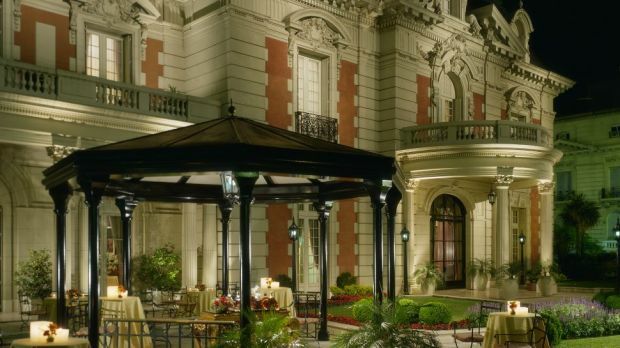 Send an availability request with your requested dates to the Four Seasons Hotel Buenos Aires. Room with King bed with a view of the city. Located on floors 2-6. Maximum occupancy: 3. Room with Twin bed and a view of the city. Located on floors 2-6. Maximum occupancy: 3. Room with King bed and a view of the river and mansion. Located on floors 9-12. Maximum occupancy: 3. Room with Twin bed and a view of the river and mansion. Located on floors 9-12. Maximum occupancy: 3. Suite with King bed, access to lounge area w/sofa desk and location on the 7th or 8th floor. Features a King bed, separate living room, located on the 2nd floor. 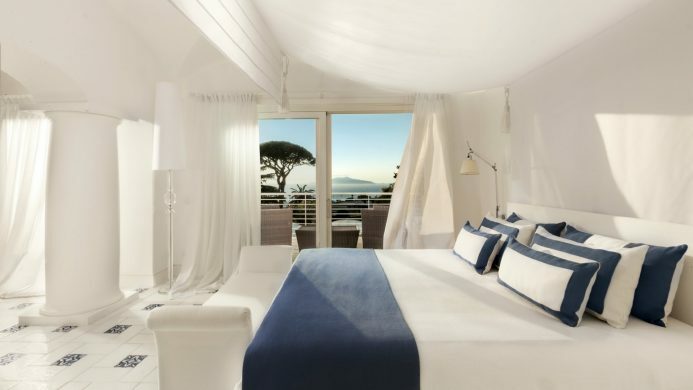 Suite with 1 King bed, large armoire and a view of the mansion. Located on floors 9-12. Maximum occupancy: 3. Junior Suite with King bed, access to lounge area, w/sofa desk. Located on floors 3-7. Maximum occupancy: 3. Suite with King bed, living room, bathroom, flat-screen TV and location on 2nd to 6th floor. Suite with King Bed, living room, one bathroom, flat-screen TV and location on the 9th to 11th floor. Features a King bed, living room, located on the 2nd floor. Suite with 1 King bed, separate living room, access to the library and a view of the river and mansion. Located on floors 7-8. Maximum occupancy: 3. Features a King bed, garden or pool view, sitting room with sofa and coffee table, located on the 2nd floor of the mansion.